Broadstairs has a new town councillor following a by-election poll yesterday (November 15). The Viking ward seat became vacant following the resignation of resignation Conservative councillor of Rosanna Taylor-Smith in September. Cllr Taylor-Smith still holds a seat at Thanet District Council. Following the poll the new councillor has been declared as Conservative Cllr Vic Todd with 583 votes. Labour’s Fiona Crawford took 489 votes, Independent Ruth Brackstone Bailey 344 and Peter Lampe 7. 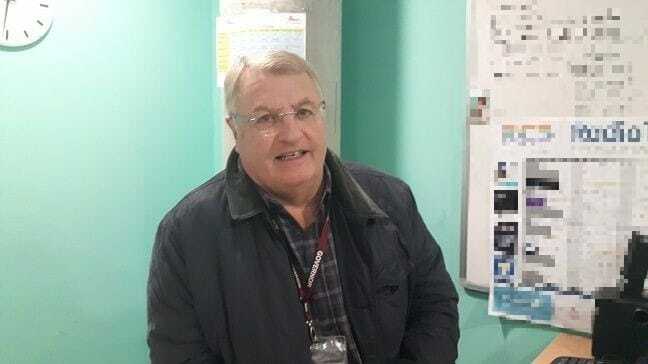 Grandad-of-four Cllr Todd, who is a retired school site manager, said his priorities included being part of the fight to retain the stroke emergency service and accident and emergency department at QEQM in Margate. Health chiefs want to create a specialised stroke unit at the William Harvey Hospital in Ashford which would replace services at Margate and are looking at option for a centralised A&E unit. Cllr Todd says town issues he would like to tackle include the cost of parking which he would like to see reduced or have free days or hours introduced. Vic Todd will need to lobby his own party about the Stroke unit; I hope his first priority will be to persuade Craig Mackinlay to raise the matter in parliament. Yes we must keep stroke and a & e units in Margate, I am helping get signatures for this. Also I agree about the car parking charges,that is why our local shop’s are failing. Well done Vic a good man. I am not of his party, in fact I am surprised anyone would admit to being in his party. I can only speak as I find and I know Vic to be a good man. Shame about his party who are doing their up most to run down the NHS in anyway they can. As for McKinley it has come out in the Court case that even his own party did NOT want him to stand as a parliamentary candidate. Therefore I don’t think there is much chance of McKinley being taken much notice of in parliament if they did not even want him in the first place.